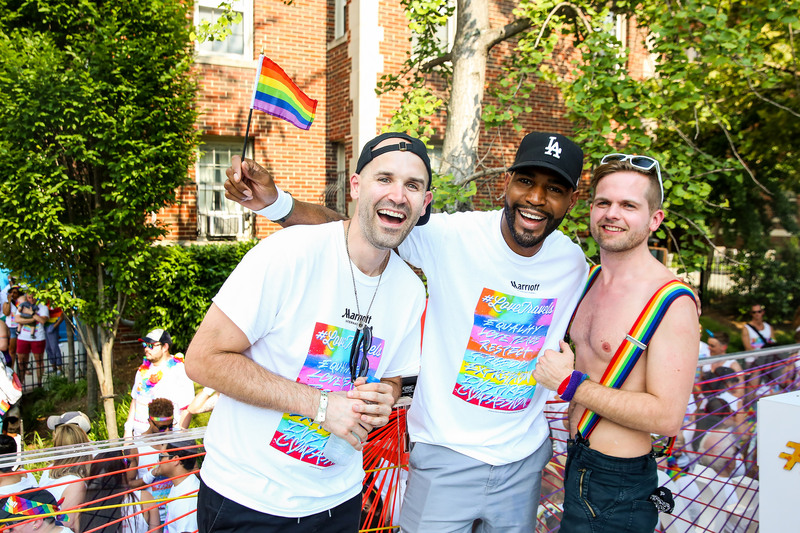 Every year, during the month of June, the LGBT community celebrates Pride month, a series of parades, events, and gatherings that recognize the influence that LGBT people have had around the world. The queen of pop and “Born this way” singer who champions the message of confidence and respect to LGBTQ, walked the streets of NY with boyfriend Christian Carino during the June 24 pride month celebration. 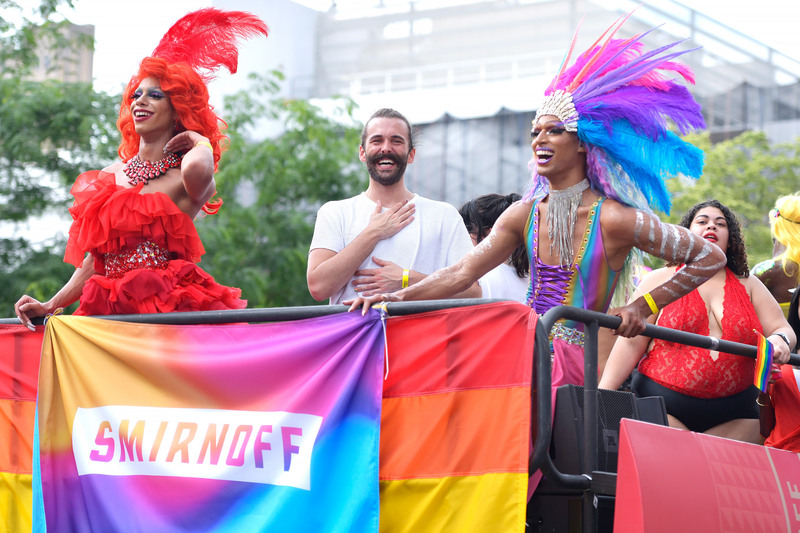 “Queer Eye’s” resident grooming expert Jonathan Van Ness was beaming as he waved to the crowd on board the Smirnoff pride float. 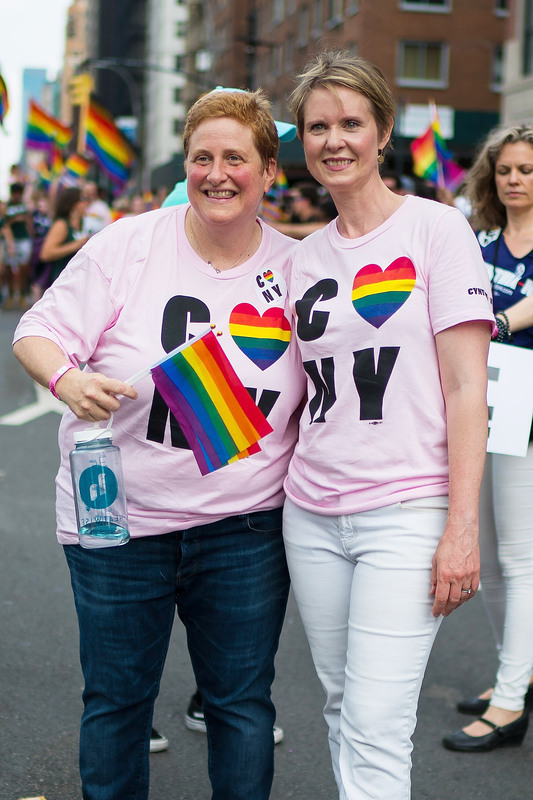 Cynthia Nixon, who is running for governor of New York, and wife Christine Marinoni wear matching tees. Alexander Wang is one of the designers at the forefront of the movement offering a special capsule collaboration with Trojan Condoms, which aims to educate and make people aware about the importance of protection and sexual health. A portion of the proceeds from the merchandise he designed and an additional donation on behalf of the collection will go to the LGBT Center of New York in order to support the organization’s sexual health programs. 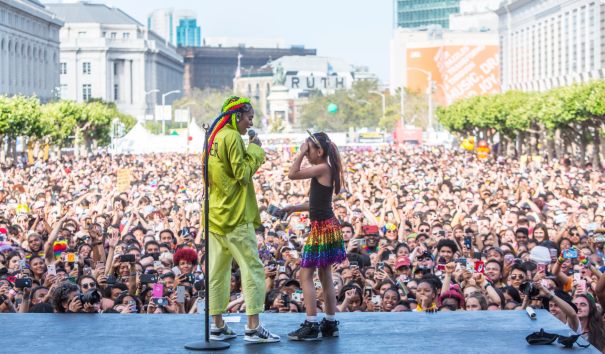 Singer Kehlani performs at San Francisco Pride, bringing a young fan on stage. Christina Aguilera dances around on stage, after making a surprise appearance at a drag competition during L.A. Pride. “The LGBTQ community has never had it easy, the struggles each one of you faces daily on an individual level and on a broader political and cultural level are unimaginable, yet you keep fighting, you keep moving forward trailblazing and beating all odds with love always in your hearts. In this month of June and every other day of the year please know that to me you all represent the daily driving voice that tells me to keep going, to triumph against all odds and to celebrate being unique. Because being unique doesn’t make us different from anyone else – it just makes us more special.